In the first episode of the podcast since our controversial Tenth Doctor Adventures reviews Matthew Kresal, Mary Lang and Robert Haynes get back together for the first time since that recording. 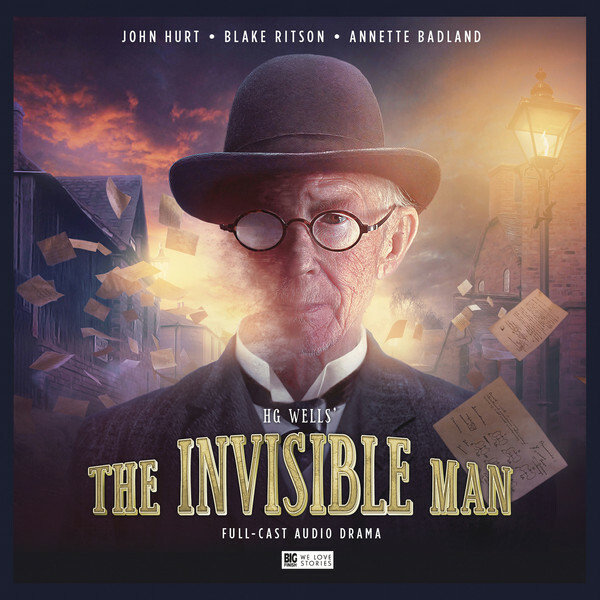 After sorting through some feedback and further thoughts about the episode, they move onto the main topic of conversation: Big Finish's adaptation of HG Wells' classic novel The Invisible Man starring the late, great Sir John Hurt. You can find the podcast via our website storiesfromthevortex.blogspot.com or on iTunes. If you'd like to send in feedback to the podcast you can do so at feedback.vortex@yahoo.com and you can join the podcasts's Facebook group. You can also leave us a review on iTunes. We're a proud member of the Doctor Who Podcast Alliance. 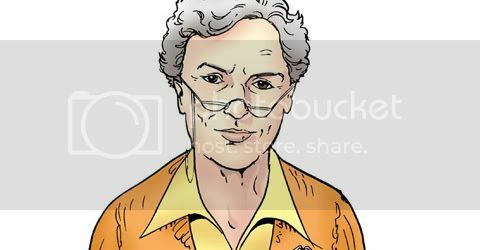 Stories From The Vortex is an unofficial and unlicensed Doctor Who podcast and is not affiliated to the British Broadcasting Company (BBC), AudioGo or Big Finish Productions in any way. Doctor Who is a registered trademark of the BBC. No copyright infringement intended. 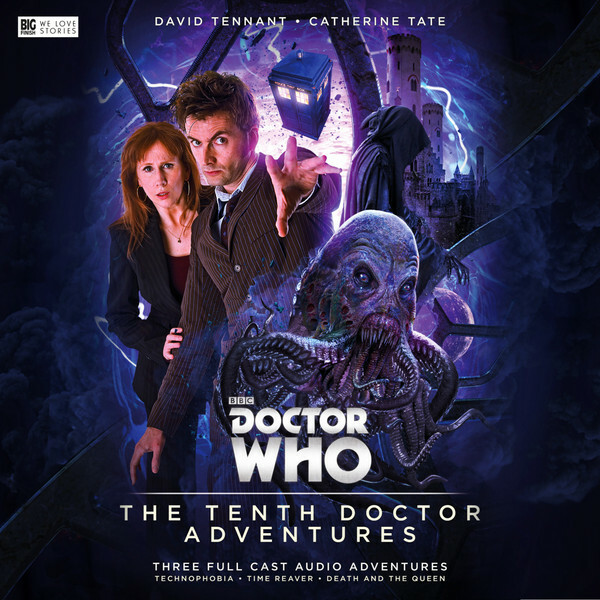 This episodes finds Matthew Kresal, Mary Lang and Robert Haynes putting perhaps the most hotly anticipated Big Finish release since 2013 under the scope: The Tenth Doctor Adventures Volume One (consisting of Technophobia, Team Reaver and Death And The Queen). Did it live up to the hype though? In discussing that, perhaps the most contentious debate yet on Stories From The Vortex takes place taking in the Tenth Doctor era on TV, listener expectations and more. With Mary Lang M.I.A., Matthew Kresal and Robert Haynes discuss the 2012 Doctor Who box-set UNIT: Dominion. Topics discussed include Alex McQuuen's "Other Doctor", UNIT dating, Doctor Who on the big-screen and more. You can find the podcast via our website storiesfromthevortex.blogspot.com or on iTunes. If you'd like to send in feedback to the podcast you can do so at feedback.vortex@yahoo.com and you can join the podcasts's Facebook group. You're also welcome to leave a review of us on iTunes. We're a proud member of the Doctor Who Podcast Alliance. 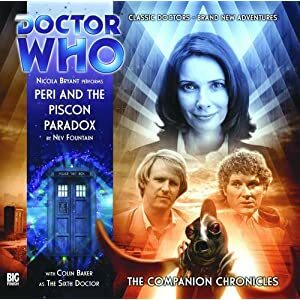 Matthew Kresal, Mary Lang and Robert Haynes take a step away from the Doctor's adventures to instead focus on his greatest adversaries via their own spin-off series. 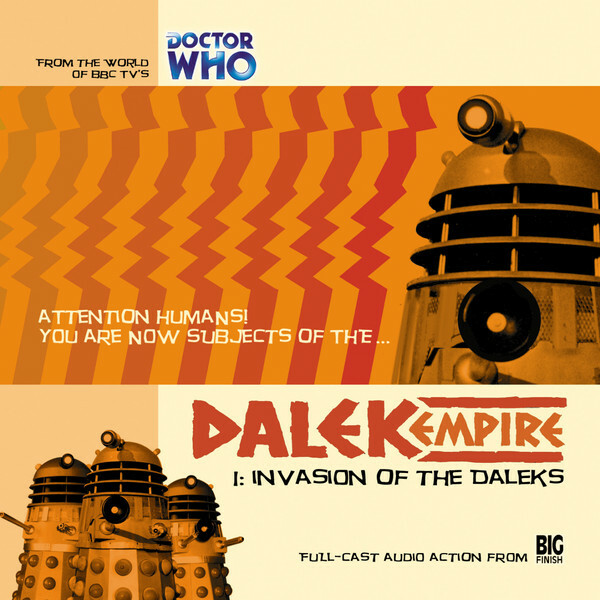 In listening to the first season of Big Finish's Dalek Empire (released in 2001) they discuss the portrayal of the Daleks, epic storytelling, Gareth Thomas and the similarties with the later Cyberman spin-off series amongst other topics. You can find the podcast via our website storiesfromthevortex.blogspot.com or on iTunes. If you'd like to send in feedback to the podcast you can do so at feedback.vortex@yahoo.com and you can join the podcasts's Facebook group. We're a proud member of the Doctor Who Podcast Alliance. 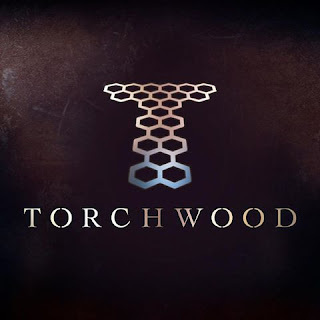 It's an Eighth Doctor centric episode this time around as MatthewKresal, Mary Lang and Robert Haynes take a look at that Doctor's most recent Big Finish outings. 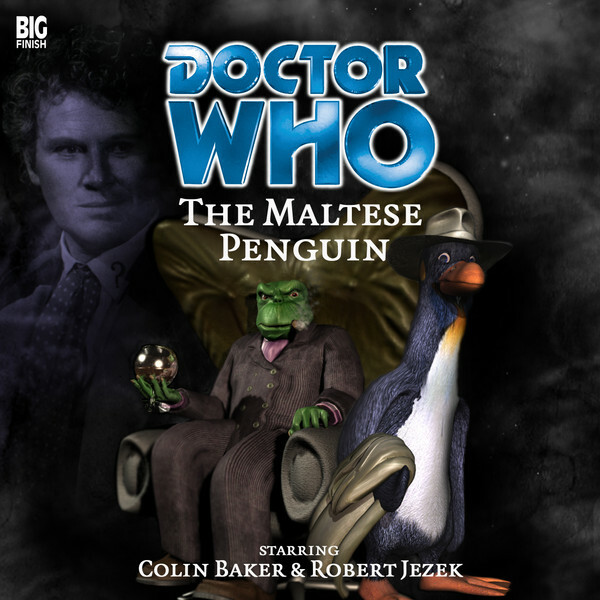 Episode 42: All Hail Frobisher! All hail Frobisher! All hail the great talking bird! 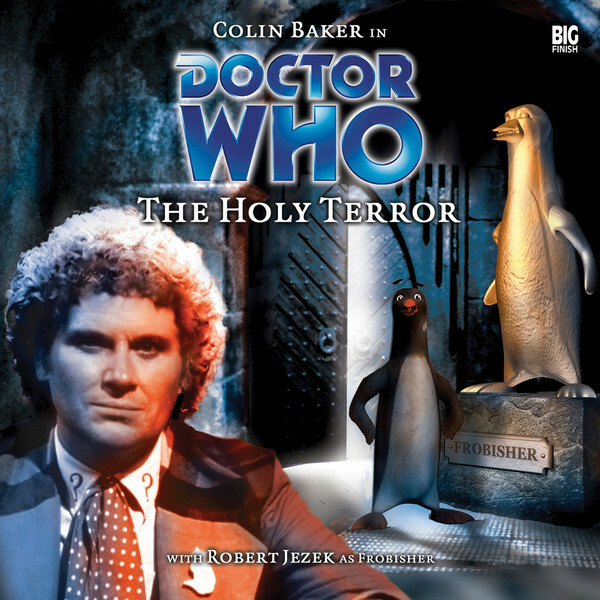 For This episode MatthewKresal, Mary Lang and Robert Haynes listen to The Holy Terror and The Maltese Penguin. 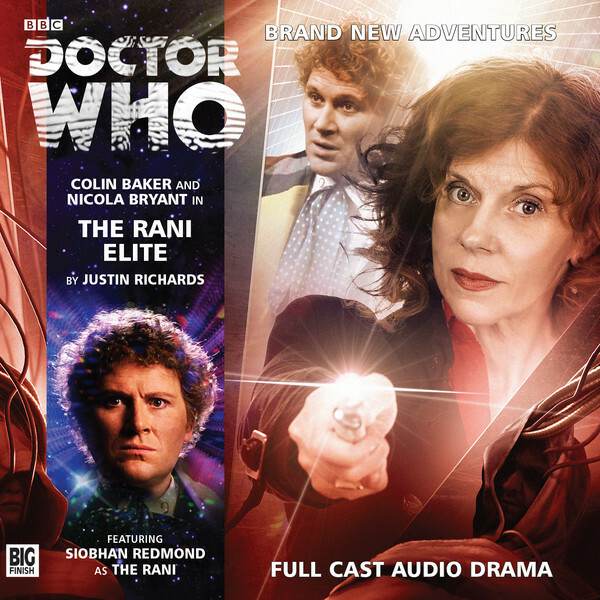 In reviewing these two tales featuring the shape-shifting (but mostly penguin shaped) private eye and Colin Baker's Sixth Doctor we discuss Rob Shearman as a writer, plot twists, accents, Robert Jezek as Frobisher and more. Plus there's a bit of feedback as well. 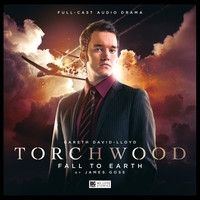 Everything changes in this episode as Matthew Kresal, Mary Lang and Robert Haynes give the first five releases from Big Finish's range of Torchwood audios a listen. 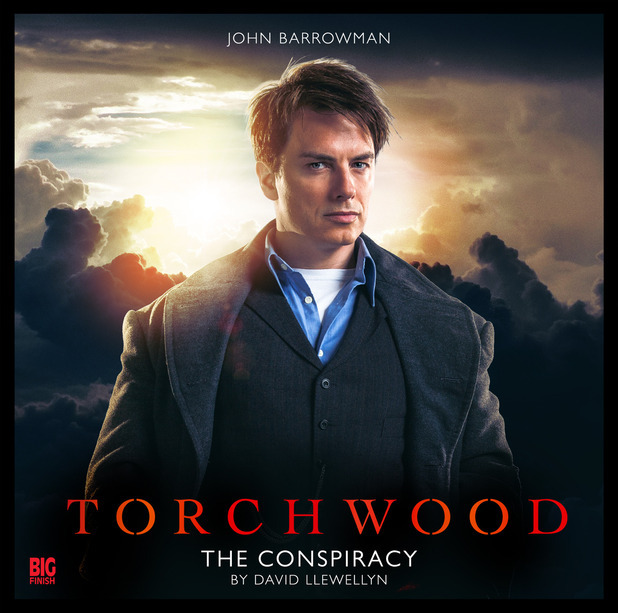 As the five stories go under the scope, topics discussed include our thoughts on Torchwood's TV run, the formats used to tell the stories, John Barrowman as an audio drama performer and more. 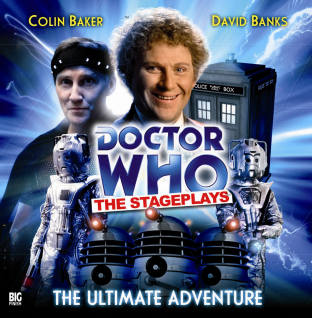 Episode 40: Big Finish Geek Out! 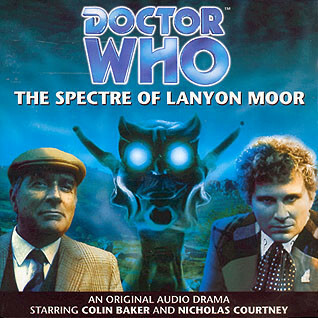 This episode finds Matthew Kresal, Mary Lang and Robert Haynes engaging in what the late lamented The Doctor Who Podcast would have called a "geek out"! Topics discussed include an overview of the recent New Series releases, what we've been listening to recently, "whither the main range?" and more. There's also trailers and clips as well! 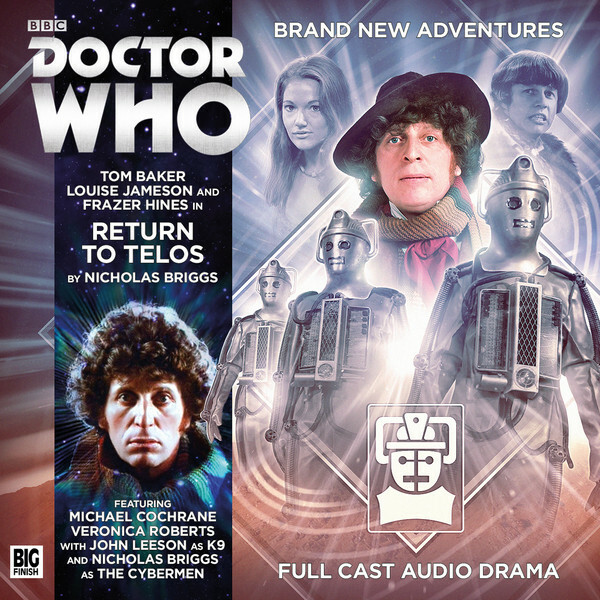 After a long and unexpected delay, we present our look at the finale of the fourth season of the Fourth Doctor Adventures: The Fate Of Krelos and Return To Telos. Topics discussed include the merits of telling one story across two separate releases, fitting Doctors into previous Doctors tales as well as giving an overall look at the season leading up to these releases as well as feedback. Note for listeners: The unexpectedly lengthy delay of the episode's release has been due to a series of unexpected technical issues that were not noticed during the original recording. Attempts have been made to fix these issues in the editing stage. However, listeners may still spot overlaps or occasional changes in sound quality as a result. We apologize for the inconvenience. 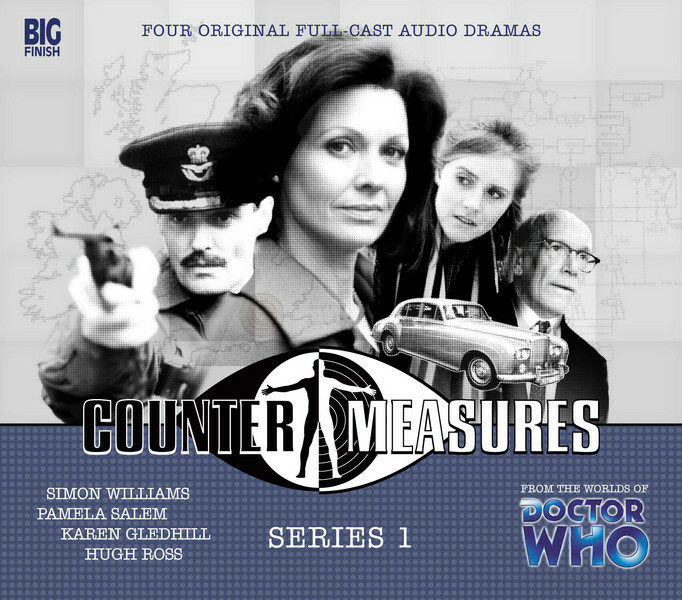 Following on a suggestion by one of our listeners, this episode finds us giving a listen to Big Finish's series Counter-Measures, which follows the team first introduced in the 1988 Doctor Who TV story Remembrance Of The Daleks, going through all four box-sets of the series. 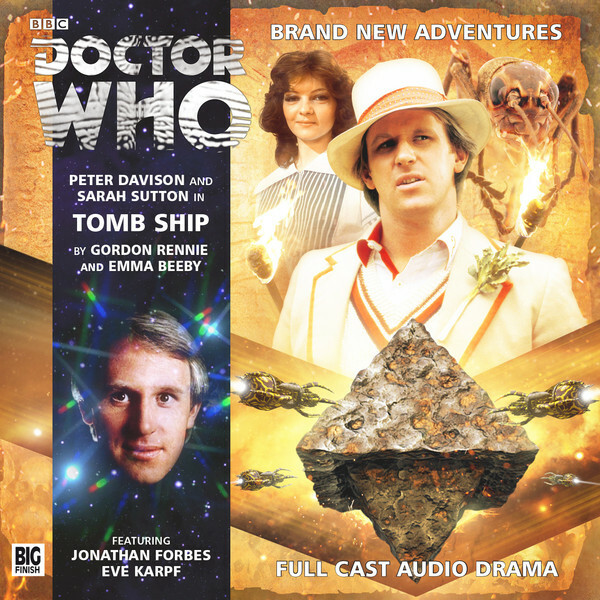 Topics discussed include character development, "box-set syndrome", the influences on the series and our anticipations of Big Finish's future plans for the series. We also discuss the recently released trailer for Big Finish's upcoming re-imagining of the classic cult series The Prisoner. Following on the interview with Big Finish founder and executive producer Jason Haigh-Ellery in the previous episode, we're back in action after a lengthy and unplanned summer hiatus. 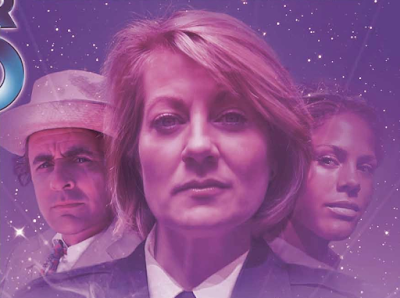 Matthew Kresal, Mary Lang and Robert Haynes all get back to together for the first time in months to chat about all things Big Finish. 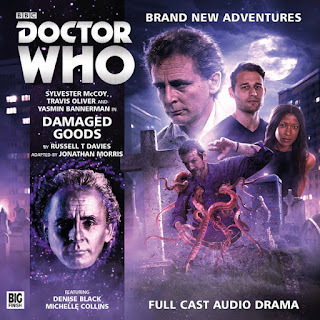 Topics covered include the major announcements connected to both Doctor Who and Blake's 7, what we've listened to during the hiatus and we chat a bit about Big Finish's recent adaptation of Russell T Davies' 1996 Doctor Who novel Damaged Goods. storiesfromthevortex.blogspot.com or on iTunes. If you'd like to send in feedback to the podcast you can do so at feedback.vortex@yahoo.com and you can join the podcasts's Facebook group. We're a proud member of the Doctor Who Podcast Alliance. After a long and rather unexpected summer hiatus, Stories From The Vortex is back! As a way of saying thank you to our listeners, we're pleased to offer this interview with Big Finish founder and executive producer Jason Haigh-Ellery conducted by host Matthew Kresal that was recorded at Con Kasterborous back in July. 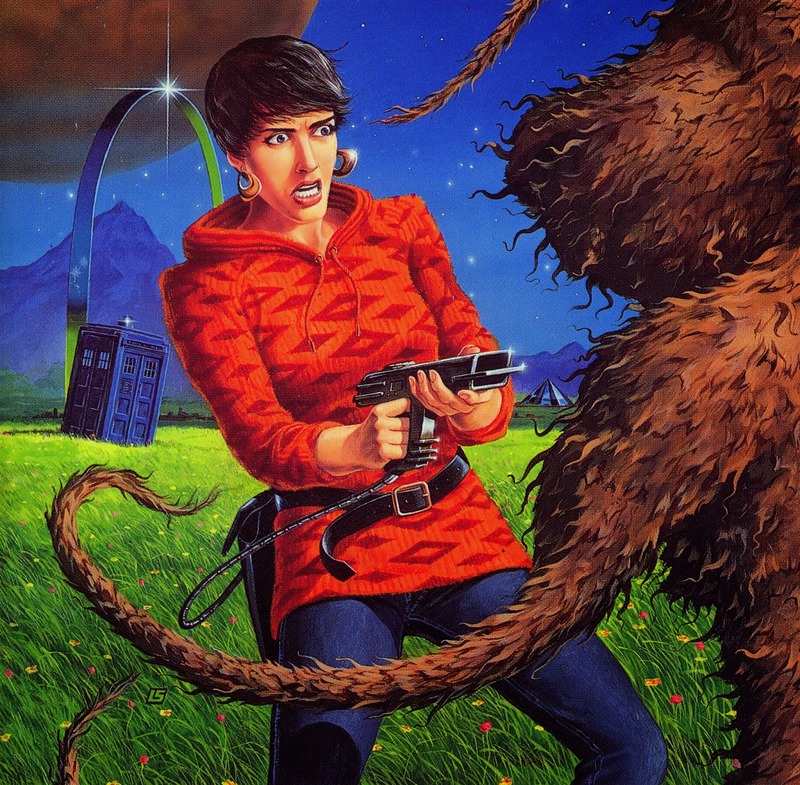 We talk about the history of Big Finish and cover everything from Doctor Who to Blake's 7, series that might have been and Big Finish's plans for the future. In the conclusion of our two part look at the stories that introduced one of the most unique companions to ever travel with the Doctor: time traveling Nazi scientist Elizabeth Klein (played by Tracey Childs). 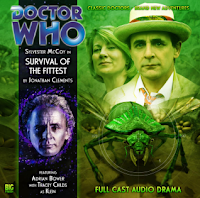 In looking at the seventh Doctor audios Survival Of The Fittest (which also features the single episode Klein's Story) and The Architects Of History, Matthew Kresal, Mary Lang and Robert Haynes look at the chemistry between the Doctor and Klein, the fleshing out of Klein's backstory, alien races on audio. the time altering shenanigans in the finale story and more. 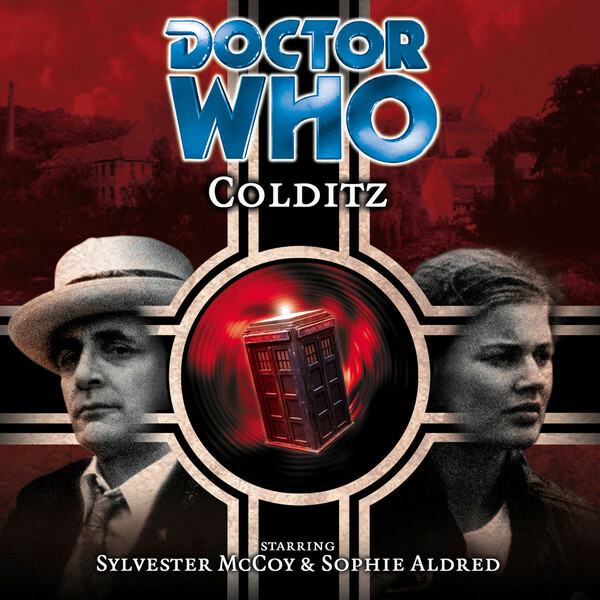 This episode is the first of a two part look at the stories that introduced one of the most unique companions to ever travel with the Doctor: time traveling Nazi scientist Elizabeth Klein (played by Tracey Childs). 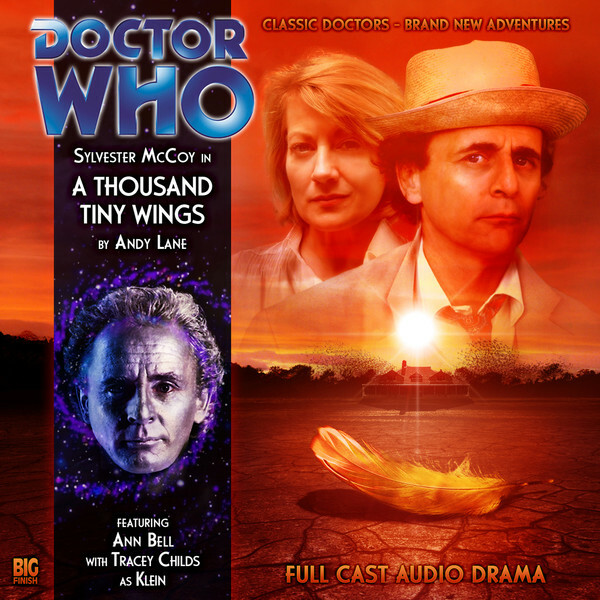 In looking at the seventh Doctor audios Colditz and A Thousand Tiny Wings, Matthew Kresal, Mary Lang and Robert Haynes look at the chemistry between the Doctor and Klein, the appearance of David Tennant in Colditz, the time periods when the stories are set and more. 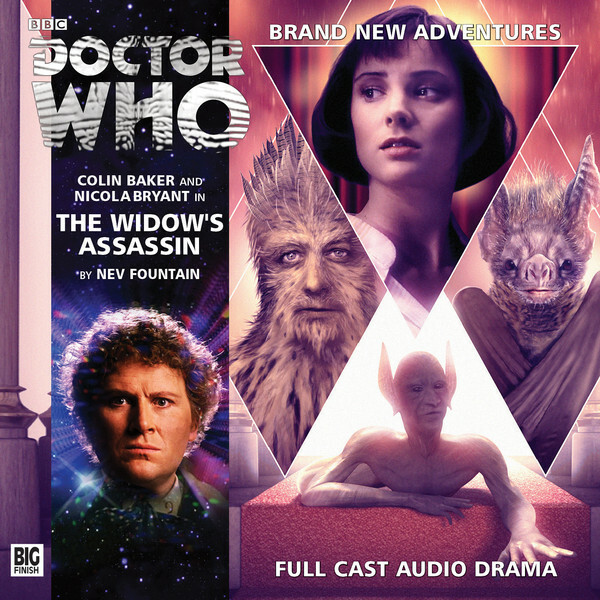 This episode finds Matthew Kresal, Mary Lang and Robert Haynes taking a look at the three sixth Doctor audios that rounded off the main range for 2014: The Widow's Assassin, Masters Of Earth and The Rani Elite. Topics discussed include returning characters, stories without centers, whether or not the main range has been sidelined and of course the new Rani! proud member of the Doctor Who Podcast Alliance. This episode finds Matthew Kresal, Mary Lang and Robert Haynes (along with his bird!) 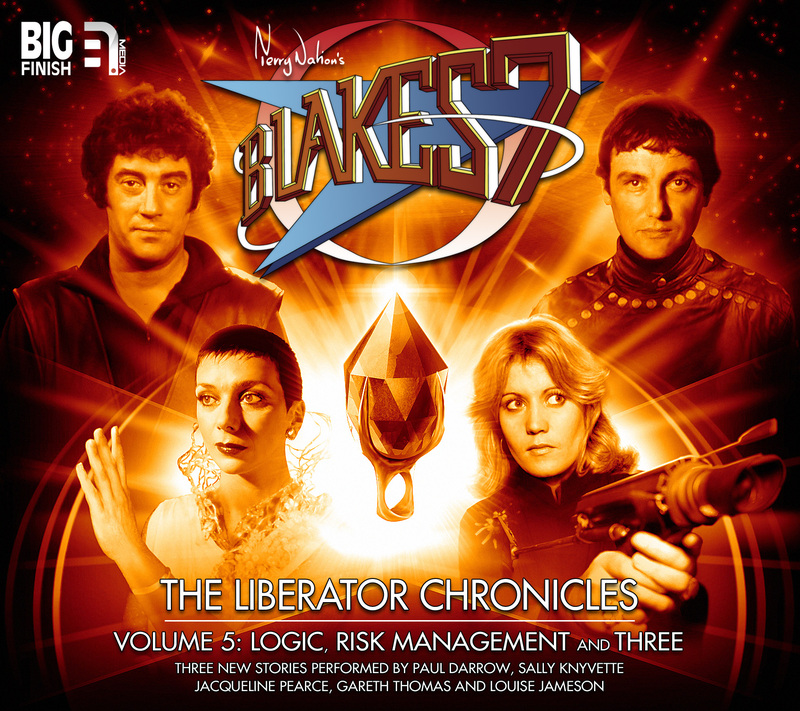 engaging in the podcast's second foray into Big Finish's output of another iconic British science fiction series: Terry Nation's Blake's 7. Reviewing The Liberator Chronicles Volume 5, topics discussed include universe building in the stories, getting a full cast feeling with a limited cast, toying with listeners emotions and more. This episode, recorded back in February, finds Matthew Kresal and Mary Lang welcoming Robert Haynes back to the show where, after getting Robert's thoughts on Dark Eyes 2, they tackle the eighth Doctor box-set Dark Eyes 3. In looking at the four episodes that make up the third chapter in the Dark Eyes saga, topics discussed include the Doctor's characterization, over-emphasis on certain characters at the expense of others and just how much of an ongoing series is "Dark Eyes" anyways. This episode is dedicated to the memory of Hiram Lester, president of the Birmingham, Alabama Doctor Who fan group The Blue Box Companions and a listener to the podcast, who passed away a short time before the episode was recorded. 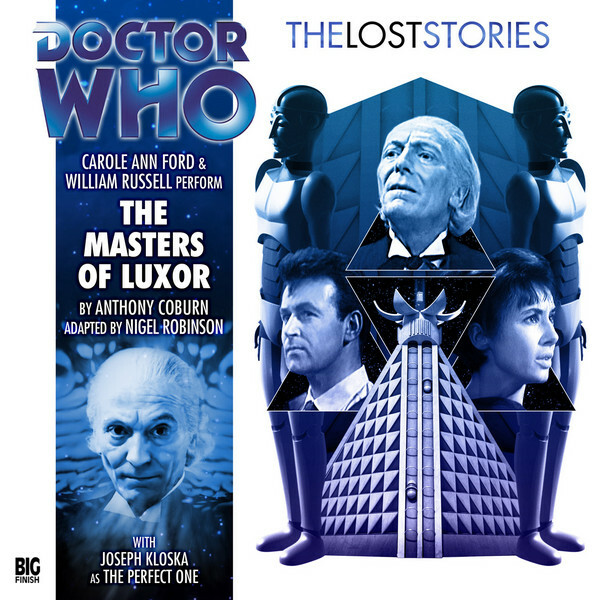 This episode, recorded back in January, finds Matthew Kresal and Mary Lang reviewing The Masters Of Luxor from the Lost Stories range. 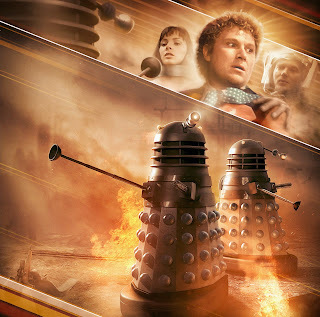 Originally intended to be the second ever Doctor Who story before being replaced by Terry Nation's story introducing the Daleks, the unfilmed script was originally published as book in 1992 before Big Finish tackled the story in 2012. In looking at the story, topics discussed include Nigel Robinson's adaptation of the original Anthony Coburn scripts, toned down subtexts, the story's historical context and what the story would have been like had it been made in 1963-64. 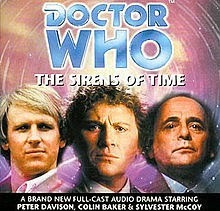 After a long and unexpected delay, we present our third and final episode looking at the Destiny Of The Doctor series, co-produced by Big Finish with AudioGo as part of the show's fiftieth anniversary, to review the middle four stories from it covering the fifth through eighth Doctors. 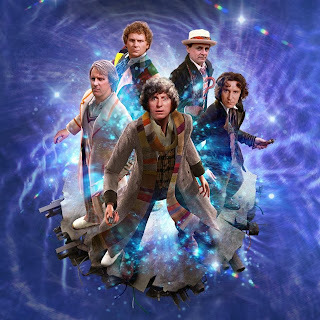 Topics discussed include the quality of each of story's respective reader, how each story represents each Doctor's era (perhaps too much so) and some thoughts on the series overall. Note for listeners: The episode's long delay has been due to a series of unexpected technical issues that were not noticed during the original recording. Attempts have been made to fix these issues in the editing stage. However, listeners may still spot overlaps or occasional changes in sound quality as a result. We apologize for the inconvenience. Just in time for Christmas, we present the second of our episodes originally recorded and slated for November but delayed until now. 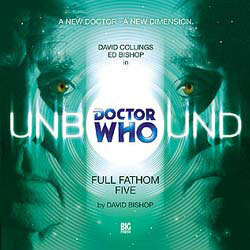 This episode finds Matthew Kresal and Mary Lang reviewing two Big Finish stories with thematic ties to the recently broadcast series eight in the form of the Unbound tales Full Fathom Five and Exile (both released in 2003). Topics discussed include each story's unique take on the Doctor, darkness and comedy in Doctor Who and the marmite reactions to each story both within fandom and on the podcast itself. 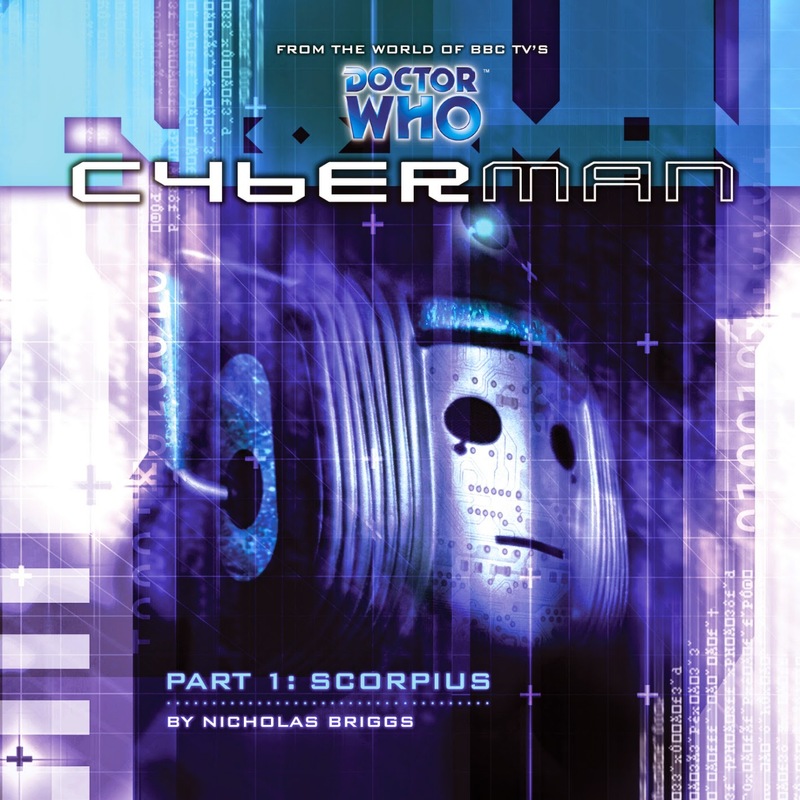 Originally recorded in early November 2014 and finally made available after a hectic November and some technical difficulties, episode twenty- seven finds Matthew Kresal and Mary Lang are reviewing the first season of Big Finish's Doctor Who spin-off series Cyberman. 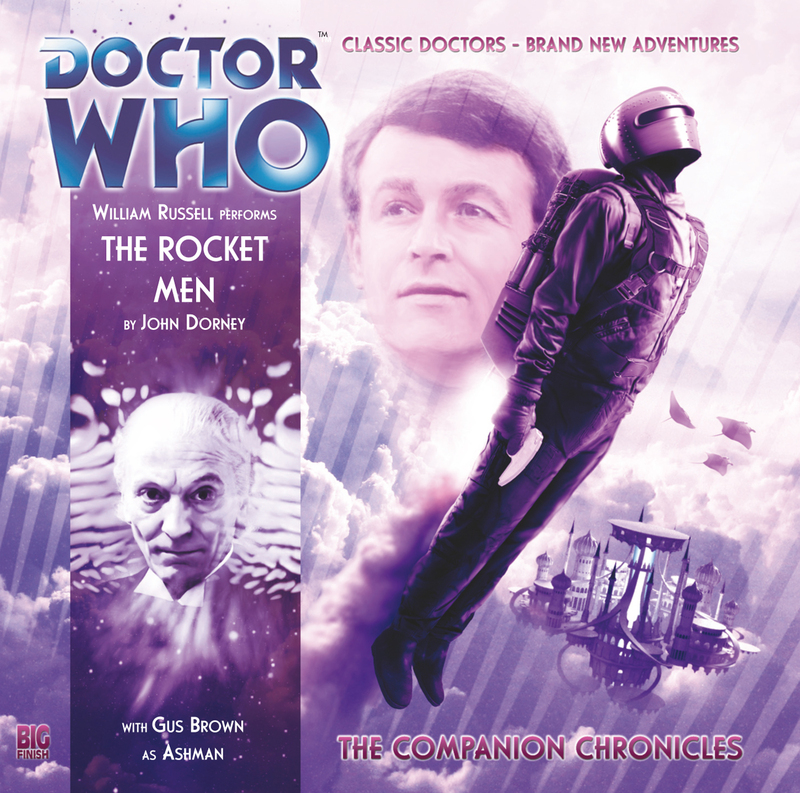 Topics discussed include its harkening back to other sci-fi stories, the way how stories are recorded can effect the finished product and of course the Cybermen themselves. 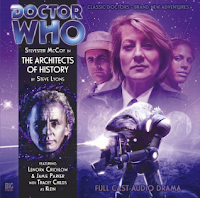 Just in time for Halloween, Matthew Kresal and Mary Lang are reviewing Big Finish's hotly anticapted and recently released Phillip Hinchcliffe Presents box-set. 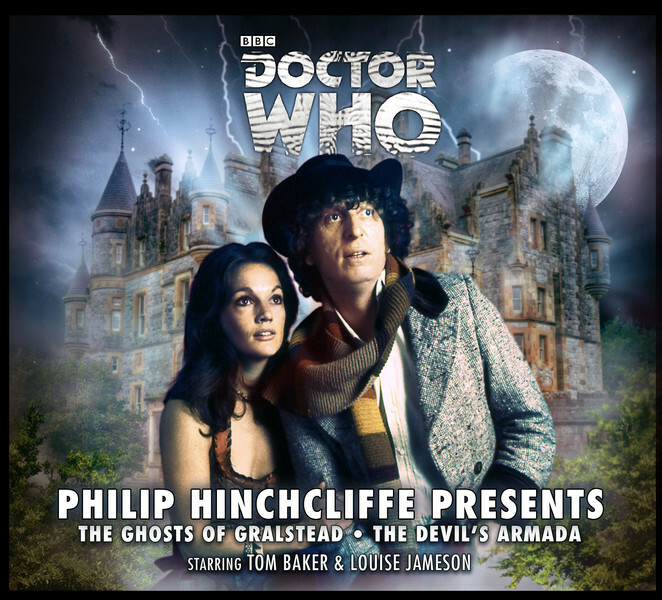 With its promise of recreating an era (in)famous for its "tea-time horror", topics discussed in looking at the two stories that make up the box-set (The Ghosts of Gralstead and The Devil's Armada) include each story's extended length, calls back to the Hinchcliffe era, Tom Baker's performance and more. 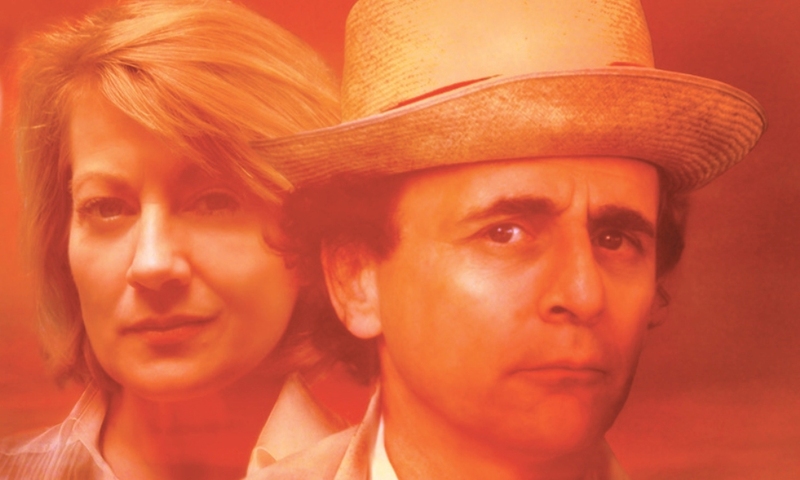 Marking the podcast's first sojourn into non-Big Finish Doctor Who territory, Matthew Kresal and Mary Lang are reviewing the controversial 2001-02 seventh Doctor webcast Death Comes To Time. Topics discussed include its large cast, the epic nature of its plot and the ever shifting nature of it as a result. Plus they ask the ultimate question: is it canon and does it really matter one way or another? 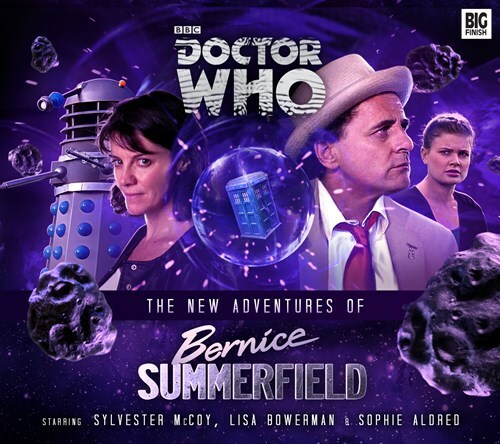 The New Adventures Of Bernice Summerfield is up for review this episode as Matthew Kresal and Mary Lang give this box-set which reunites the seventh Doctor and Ace with Benny a listen. Topics discussed include the diversity of the four stories in the box-set, the callbacks to Love And War and of course the Daleks! 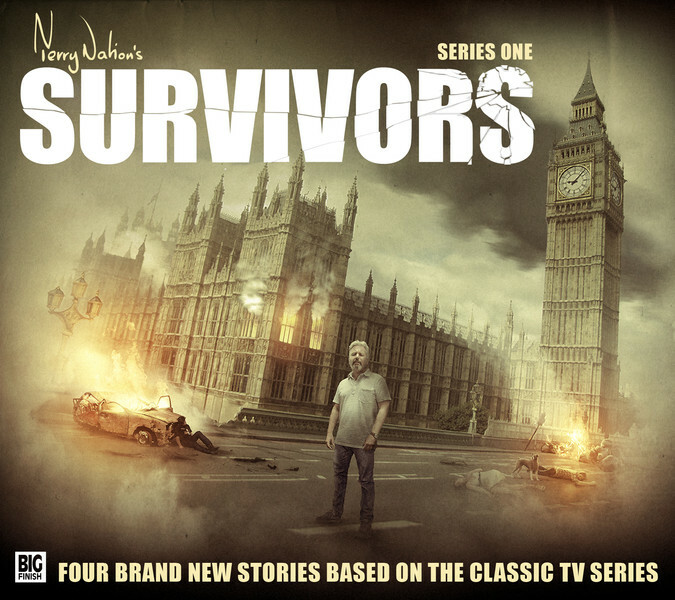 Released a bit late (apologies for which and an explanation to be given in the next episode), this episode finds Matthew Kresal and Mary Lang giving a listen to Big Finish's acclaimed series based on Dalek creator Terry Nation's 1970s apocalyptic series Survivors. 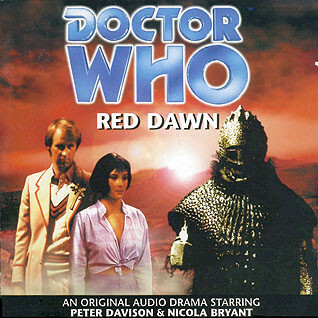 Topics discussed include bringing the world to an end on audio, familiar actors in different roles and some discussion about the original 1970s series. 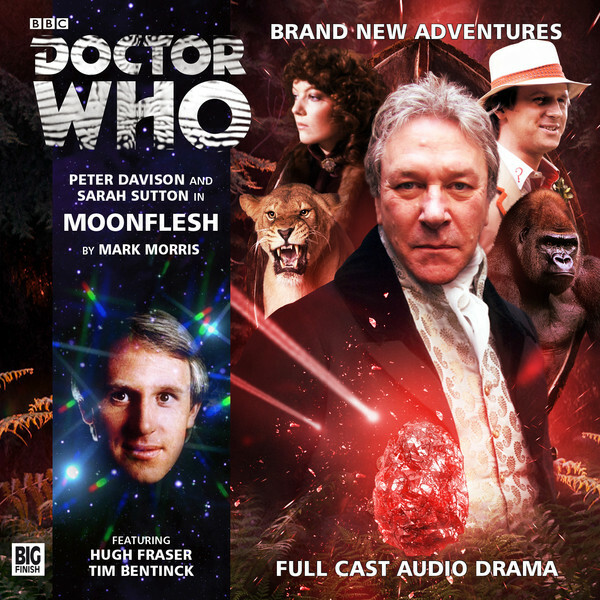 This year's trilogy of tales featuring the fifth Doctor and Nyssa are up for review this episode as Matthew Kresal and Mary Lang review Moonflesh, Tomb Ship and Masquerade. Topics discussed include ethnic casting on audio, cliches and stereotypes, dues ex machina endings and an unavoidably spoilery discussion of Masquerade. 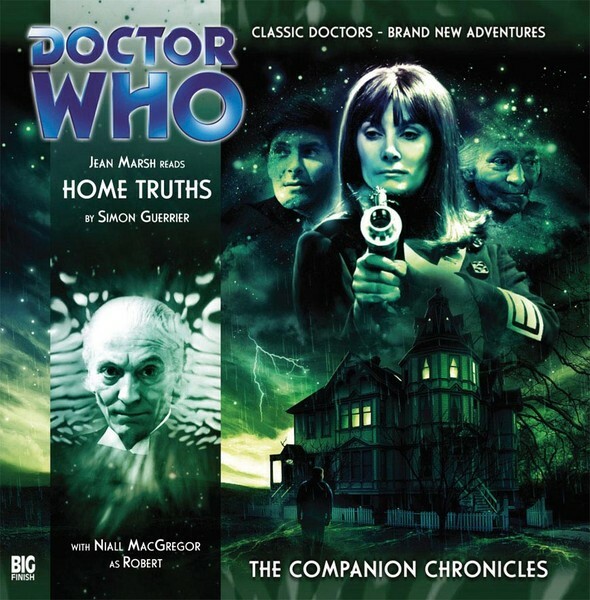 This episode finds Matthew Kresal and Mary Lang reviewing Home Truths, The Drowned World and The Guardian Of The Solar System, three stories from The Companion Chronicles written by Simon Guerrier featuring Sara Kingdom, played by Jean Marsh in the 1965-66 story The Daleks Master Plan. While avoiding how Sara is telling the stories to begin with, topics discussed include Sara's character development, how different parts of the audios are taking place in reverse order of one another and how much foreknowledge of Sara's TV story is required. If you'd like to send in feedback to the podcast you can do so at feedback.vortex@yahoo.com and you can join the podcasts's Facebook group. We're a proud member of the Doctor Who Podcast Alliance. 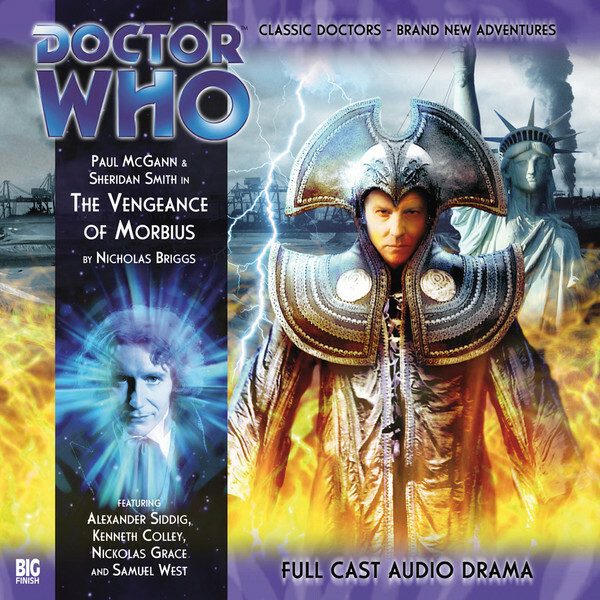 This episode finds Matthew Kresal and Mary Lang reviewing two stories from the Eighth Doctor Adventures range which tie into that Doctor's most recent on screen appearance in Night Of The Doctor in the form of Sisters Of The Flame and The Vengeance Of Morbius. Topics discussed include the merits of doing a story across what seems to be two different releases, the character of Lucie Miller, the cliffhangers from both stories and more. 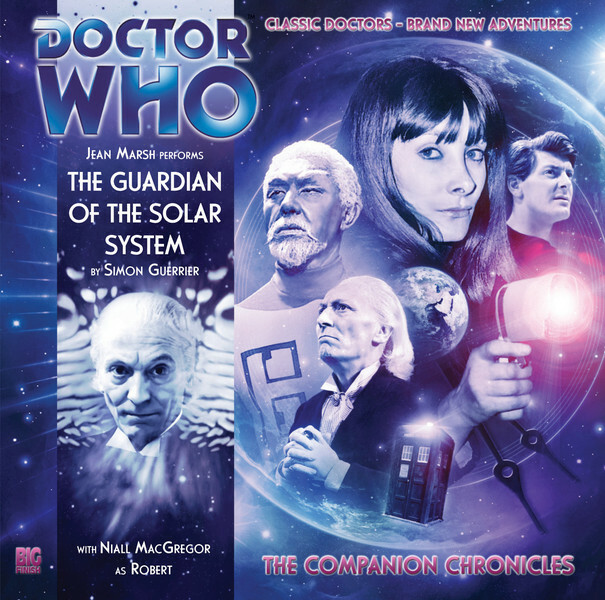 This episode finds Matthew Kresal and Mary Lang returning to the Destiny Of The Doctor series, co-produced by Big Finish with AudioGo as part of the show's fiftieth anniversary, to review the middle four stories from it covering the fifth through eighth Doctors. 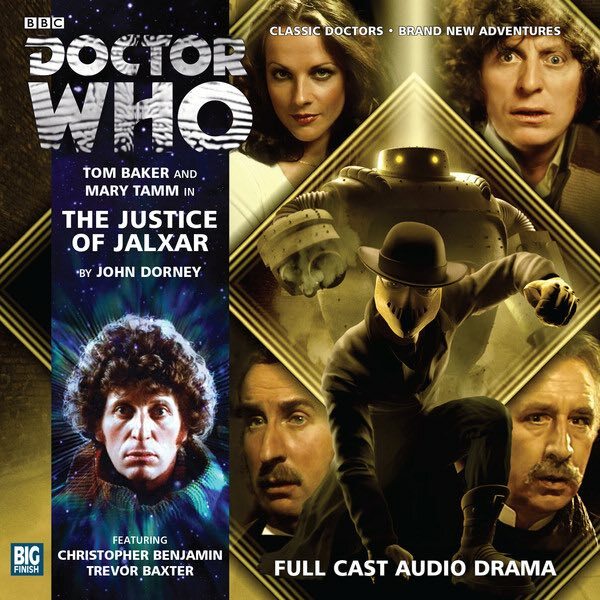 Topics discussed include the quality of each of story's respective reader, how each story represents each Doctor's era (perhaps too much so) and perhaps the biggest disagreement yet on the podcast in regards to the eighth Doctor story Enemy Aliens. 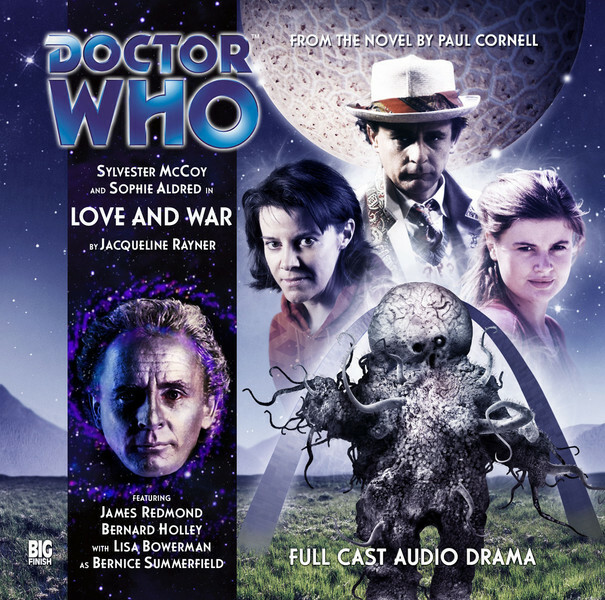 To mark the release of The New Adventures Of Bernice Summerfield box-set earlier this month, Matthew Kresal and Mary Lang are looking back at two of Big Finish's previous forays into the territory established by the Virgin New Adventures in the form of the adaptation of the novel Love And War and The Shadow Of The Scourge, both written by Paul Cornell. 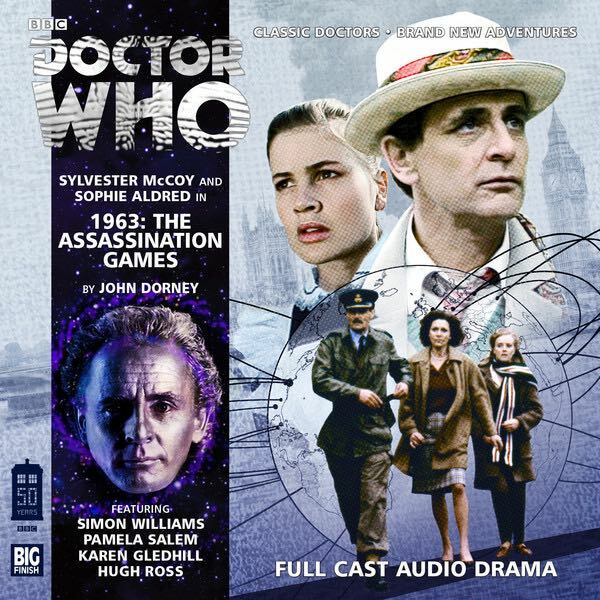 Topics discussed include Love And War's faithfulness to its source material, Sylvester McCoy's performances and how the Seventh Doctor is represented in each story. To mark the end of the Companion Chronicles range this month, Matthew Kresal and Mary Lang are looking back over four of their favorite stories from the range. 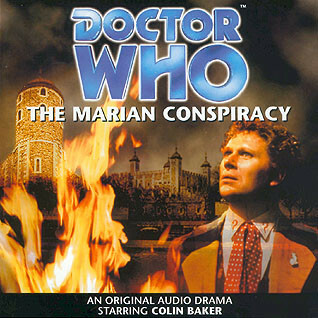 Matthew picks The Rocket Men and The Last Post while Mary picks Peri And The Piscon Paradox and The Memory Cheats. As well as those stories they talk about their least favorite Companion Chronicles and there's some feedback as well. 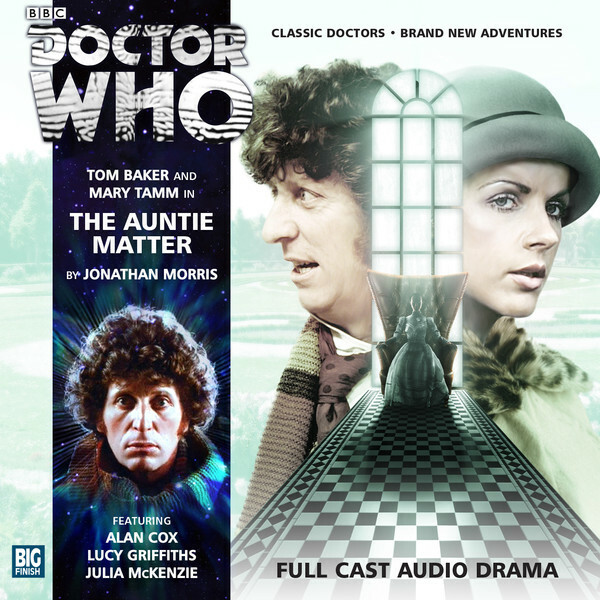 This episode finds Matthew Kresal and Mary Lang reviewing the three standalone stories from the second season of the Fourth Doctor Adventures: The Auntie Matter, The Justice Of Jalxar and Phantoms Of The Deep. 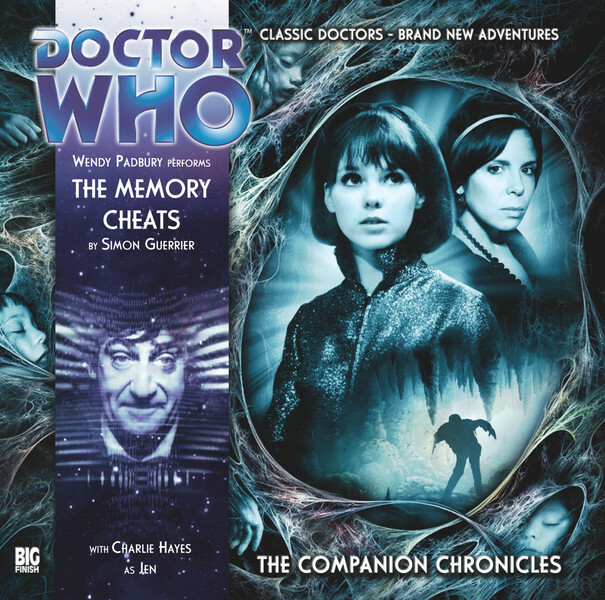 In reviewing these stories that take the Doctor and Mary Tamm's Romana from 1920s Britain to Victorian London and the bottom of the ocean, topics discussed include Mary Tamm's performances, the use of sound design in getting across the various settings and the influences of different genres upon each of the stories. 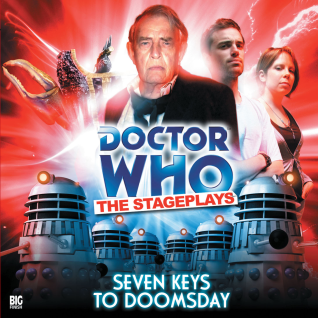 Dedicated to the memory of Big Finish's Paul Spragg. 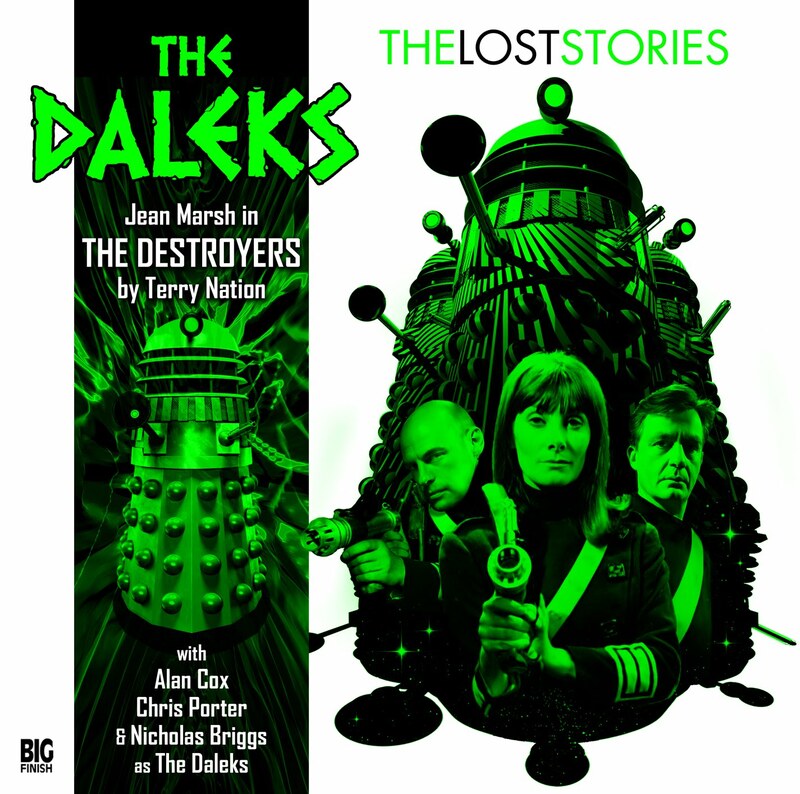 This episode finds Matthew Kresal and Mary Lang delving into two interesting artifacts from 1960s Dalekmania Big Finish have produced: the adaptation of The Curse Of The Daleks as part of the Doctor Who - The Stage Plays Range and the intended pilot episode for a Dalek spin-off series called The Destoryers, released in the Second Doctor Lost Stories Box-Set. Topics discussed include how they relate back to the TV series, things that potentially date them to the 1960s, Sarah Kingdom and why The Destroyers might not have been made. If you'd like to send in feedback to the podcast you can do so at feedback.vortex@yahoo.com and you can join our Facebook group. This episode finds Matthew Kresal and Mary Lang delving into part of Big Finish's non-Doctor Who output with a look at their Sherlock Holmes range with the adaptations of the stage play Holmes And The Ripper and the Conan Doyle short stories The Final Problem/The Empty House being reviewed. 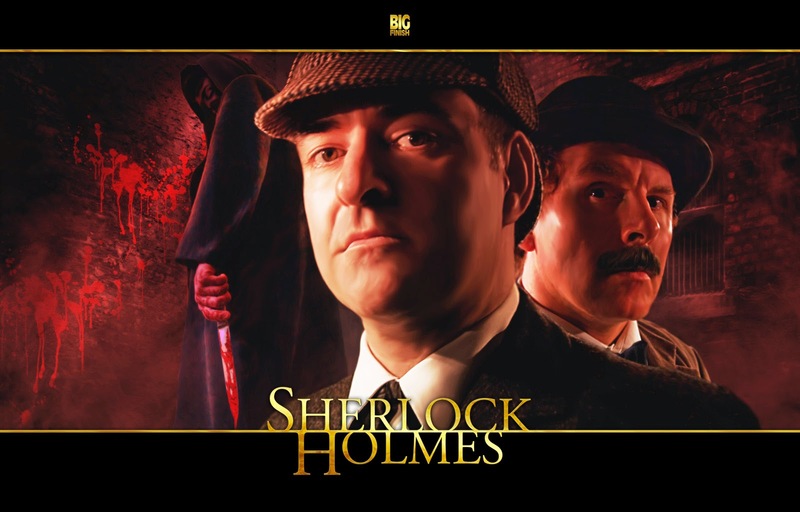 Topics discussed include how both releases were brought to life on audio, familiar voices in new roles plus some discussion of the Holmes canon in general and how other takes on it relate to these stories. 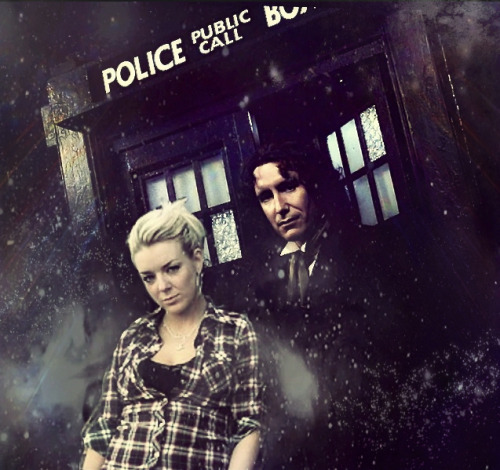 This episode finds Matthew Kresal and Mary Lang and Robert Haynes reviewing the much anticipated eighth Doctor box-set Dark Eyes 2. Topics discussed include the "timey wimey" nature of its plot, returning villains from numerous releases and if the old saying about too many cooks in the kitchen is applicable to it. 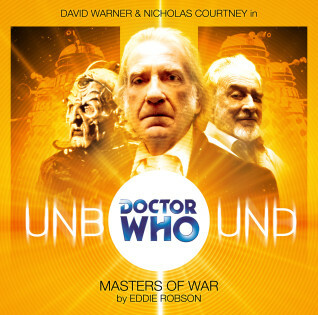 This episode finds Matthew Kresal, Mary Lang and Robert Haynes reviewing Sympathy For The Devil and Masters Of War, two stories from Big Finish's Doctor Who Unbound range starring David Warner as an alternative third Doctor. Topics discussed include Warner's performances in the stories, the appearance of actors who would become better known via the New Series and how the stories present new versions of familiar villains from the series. After the episode, Stories From The Vortex proudly presents Big Finish Sound Designers Podlet - Masters of War. In it, sound designer and composer Martin Johnson discusses his work on the story from his initial ideas to getting the story into its final released form. 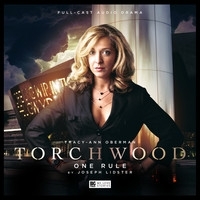 Originally released on the Big Finish website in December 2008 and no longer available on the site, it appears here through the kind permission of Big Finish Productions. 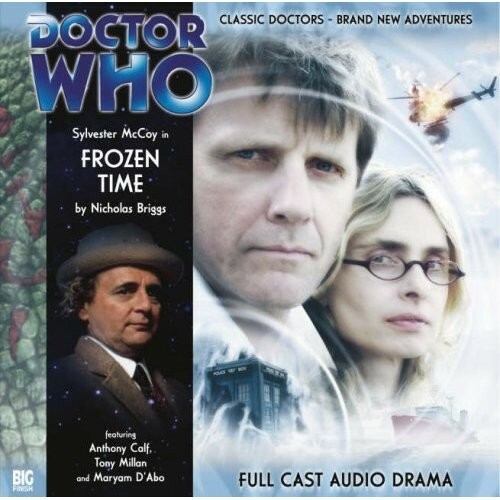 This episode finds Matthew Kresal, Mary Lang and Robert Haynes reviewing Red Dawn and Frozen Time which both feature the Ice Warriors. Topics discussed include how well utilized the Martian reptiles are in each story, the derivative nature of Red Dawn and that old favorite: accents and the quality of them. If you'd like to send in feedback to the podcast you can do so at feedback.vortex@yahoo.com and you can join our Facebook group. We're a proud member of the Doctor Who Podcast Alliance. 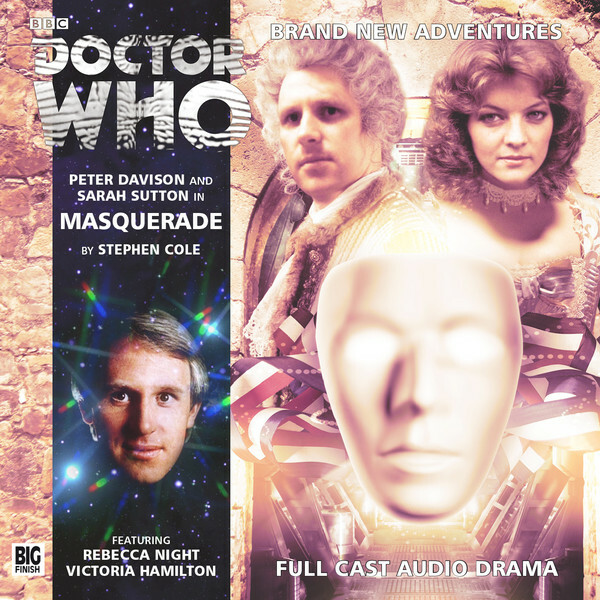 This episode finds Matthew Kresal, Mary Lang and Robert Haynes reviewing the first four stories from Destiny Of The Doctor series, co-produced by Big Finish with AudioGo as part of the show's fiftieth anniversary. 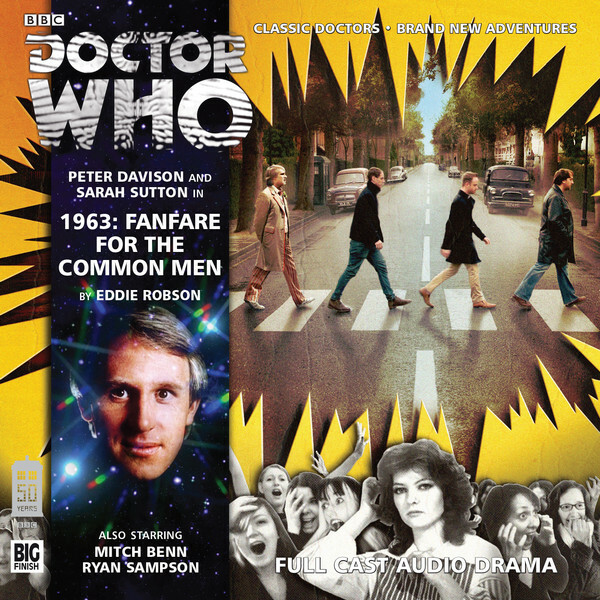 Topics discussed include the quality of each of story's respective reader, the continuity implications of Vengeance Of The Stones and how each story represents each Doctor's era (perhaps too much so). 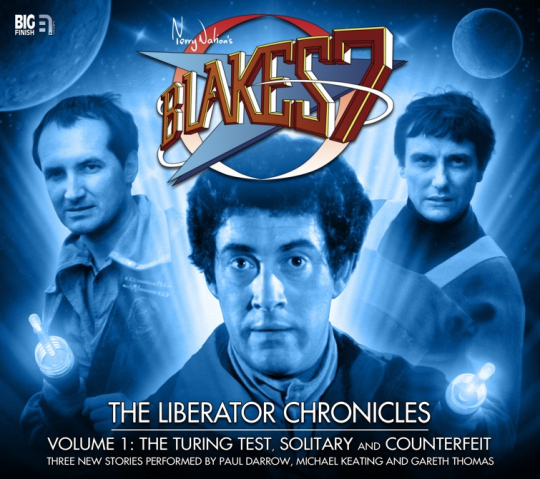 This episode finds Matthew Kresal, Mary Lang and Robert Haynes engaging in the podcast's first foray into Big Finish non-Doctor Who output with another icon of British science fiction: Blake's 7. Reviewing The Liberator Chronicles Volume 1 and Warship, topics discussed include how newbie friendly these audios are from Matthew and Mary while Robert gives the perspective of a long time fan, why "enhanced audiobooks" may be a misnomer in the case of The Liberator Chronicles and more. 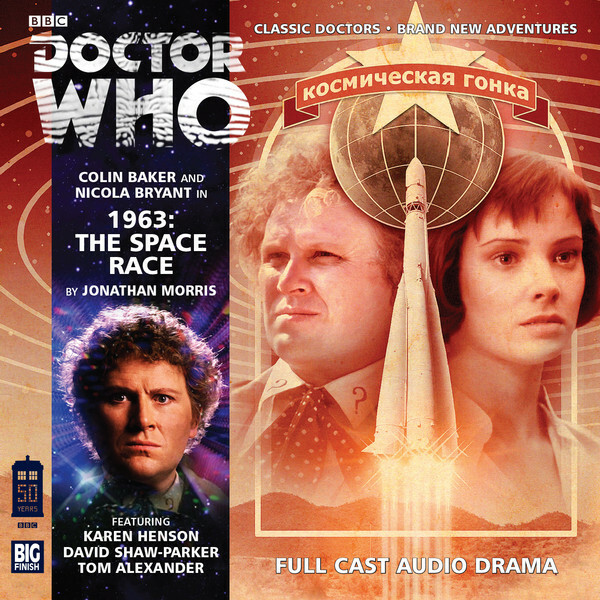 This episode finds Matthew Kresal, Mary Lang and Robert Haynes reviewing the recent Big Finish main range 1963 trilogy of stories featuring the fifth Doctor in Fanfare For The Common Men, the sixth Doctor in The Space Race and the seventh Doctor in The Assassination Games. Topics discussed include how each story recreates the 1963 setting, if The Space Race was initially meant to be a Companion Chronicle and the facts behind the fiction. If you'd like to send in feedback to the podcast you can do so at feedback.vortex@yahoo.com and we're a proud member of the Doctor Who Podcast Alliance. 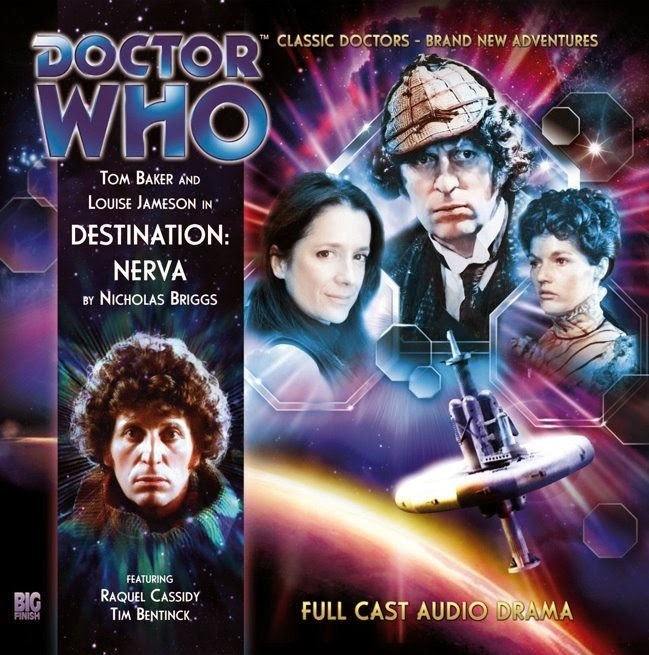 This episode finds Matthew Kresal, Mary Lang and Robert Haynes reviewing Destination: Nerva and the recently released to the public subscriber special Night Of The Stormcrow, two fourth Doctor audio adventures from 2012. 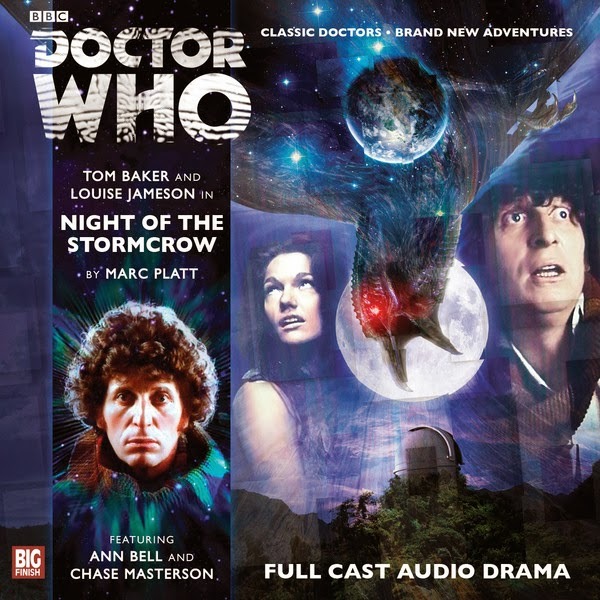 Topics discussed include Tom Baker's long road to Big Finish, why it might not be Saturday teatime in 1977 all over again and the possible similarities between Night Of The Stormcrow and Ghost Light. You can find the podcast via our website storiesfromthevortex.blogspot.com or on iTunes. If you'd like to send in feedback to the podcast you can do so at feedback.vortex@yahoo.com and we're a proud member of the Doctor Who Podcast Alliance. 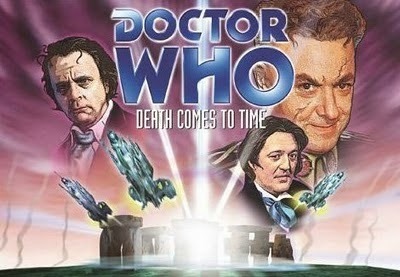 This episode finds Matthew Kresal, Mary Lang and Robert Haynes reviewing the epic 2012 eighth Doctor box-set Dark Eyes. 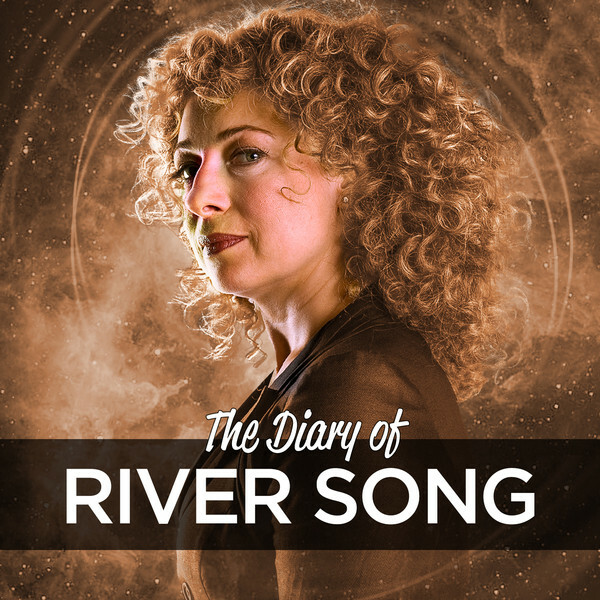 Topics discussed include getting across costume changes on audio, the influence of the new series, the eighth Doctor's character development, the portrayal of the Daleks as well as our hopes for what Dark Eyes 2 will bring. You can find the podcast via our website or on iTunes. If you'd like to send in feedback to the podcast you can do so at feedback.vortex@yahoo.com and we're a proud member of the Doctor Who Podcast Alliance. 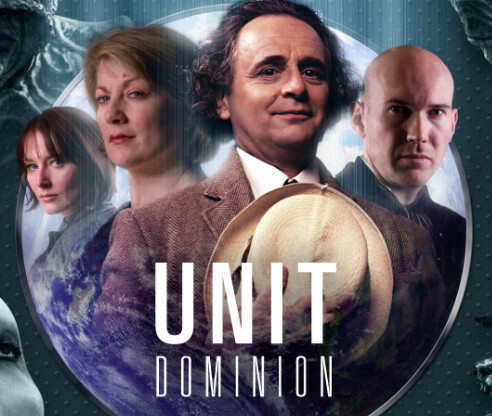 This episode finds Matthew Kresal, Mary Lang and Robert Haynes reviewing Storm Warning and Sword Of Orion, the first two Big Finish eighth Doctor stories from 2001. 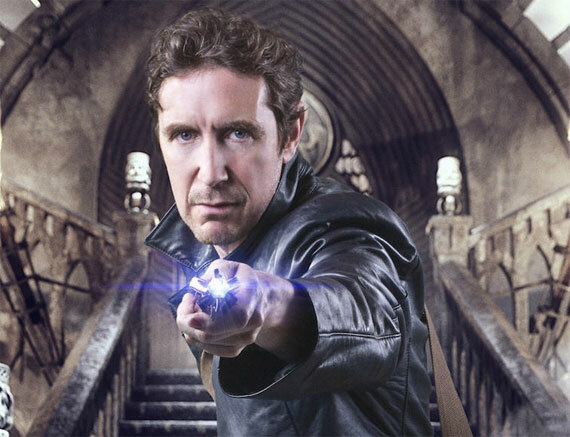 Topics brought up in the process include Paul McGann's voice, "traditional" Doctor Who, surprise appearances (or lack thereof) while Robert gets annoyed with jetpacks and accents. 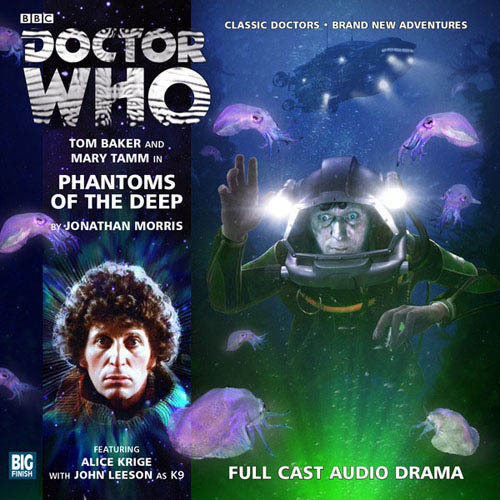 This episode finds Matthew Kresal, Mary Lang and Robert Haynes reviewing two of Big Finish's multi-Doctor stories: 1999's The Sirens Of Time and the fiftieth anniversary story The Light At The End. 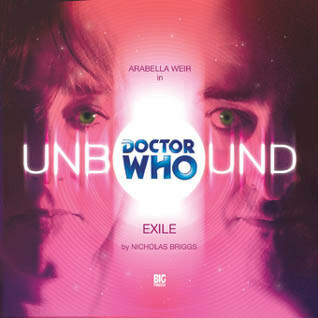 In exploring these two stories written and directed by Nicholas Briggs, they discuss such things as the aging of actor's voices, the importance of sound design in getting across alien landscapes and much more. Welcome to the inaugural episode of Stories From The Vortex, a podcast exploring the audio adventures from the worlds of Doctor Who. 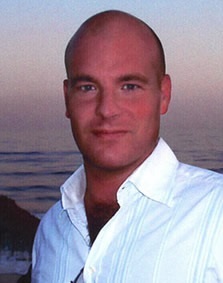 This episode introduces hosts Matthew Kresal, Mary Lang and Robert Haynes. As well as introducing themselves, they discuss how then came into the audios and the ways people often come to them. Where's best to start, where isn't? As you're likely aware, and as the page name has probably done told anyways, this is the site for a new podcast called Stories From The Vortex. Likewise, you're very likely to also be aware that we'll be focusing not on TV Doctor Who but on the audio adventures based on it. 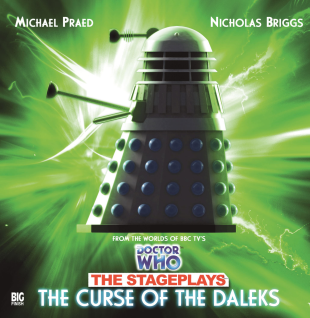 They've primarily been produced by a company called Big Finish Productions and their output will be our primary focus though we will from time to time look at output from others who've produced official Who audios such as the apparently defunct AudioGo. Hosting this podcast will be myself, Mary Lang and Robert Haynes. The three of us have for sometime now been co-hosts of Adam Pearson's 20mb Doctor Who Podcast. We owe Adam a big thanks for bringing us all together to begin with and we'll continue to be appearing on that podcast as well discussing televised Doctor Who. Our first two episodes should be going online in the next few days so please keep an eye out here. You can also join our recently launched Facebook group as well. Thanks for looking and happy listening!